WTSO | Let's Get Deals Today! Link to Got Wine? WTSO‘s new and improved look. Are you an oenophile? Do you enjoy a glass of wine? Like giving the gift of wine? If you answered YES to any of these questions, then you need WTSO! WTSO what? WTSO is short for WinesTilSoldOut, an online fine wine retailer. But WTSO is so much more than “just” an online wine retailer. Their motto says it all: “Fine Wines. Great Prices. One Deal at a Time. Wines EVERYDAY at 30% – 70% off.” Sounds like an oenophile’s dream, huh! First, membership is free and you know how we love our free stuff. Second, the deals, of course! Why pay retail when you can get it for less? Third, buying wine is easy at WTSO. WTSO sells ONLY wine, and you guessed it, only ONE vintage at a time. Just one bottle to decide if it’s the one for you. How do you get the deals at WTSO? Start with signing up for a WTSO membership. It doesn’t cost you anything and in return you will receive an e-mail notification when a new deal is posted on the WTSO website. It’s just that simple to begin saving more on your wine purchases. Only one wine deal at a time. When it’s gone, it’s gone. Time to move on to the next deal. If you like the offer, grab it. Again, once it’s gone, it’s gone. Wine offers begin at midnight, eastern standard time, seven days a week, and are available until sold out. But don’t worry: a new wine deal will replace the sold out deal. At 11:59pm, that day’s deal is over! Not all bad: Goodbye old wine deal, hello new wine deal! The clock restarts at 12:00 midnight. There is a maximum of three cases (36 bottles) per order. WTSO likes to let everybody in on a deal! You don’t need to be on the e-mailer to take part in any WTSO deal; it just helps you know when the deal is on, so you don’t miss it. WTSO currently ships to 39 states. If your state isn’t on the list, check back later as WTSO continues to receive licenses for other states. WTSO shipments include insurance so you are protected from loss or breakage in transit. Wines usually ship in 2-5 days from purchase. Don’t forget: due to state and federal regulations, someone at least 21 years of age must be available to sign for any wine delivery. It’s the law. Concerned about shipping because it’s too cold/hot? Again, no worries! Add “Hold until I release” in the Comments section at check out and WTSO will store your wine in their temperature controlled warehouse until you are ready for shipment. Need a Last Minute Gift? So you waited until the last minute to pick up a gift for your best friend’s party. Don’t whine now! 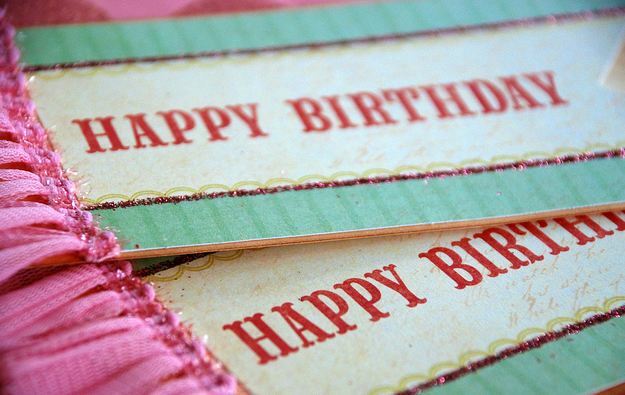 A WTSO Gift Certificate can wrap up your gift in just a few clicks of the keyboard. No membership required to use a gift certificate, but once your friend sees these prices, she’s going to thank you! It’s a Marathon! A what? That’s right, a marathon of wine deals. WTSO randomly offers a marathon of bargain basement priced wines, their version of house-cleaning. One week prior to a marathon, an e-mail notification will be sent to WTSO members. A second e-mail will be sent at the start of the marathon. Then it’s off to the races! It might be a sprint to score some of these deals! Mark your calendars now! WTSO’s marathon event, Cheapskate Wednesday Sale, is almost here and you don’t want to miss this sale! Starting at 6:00am est, a new “best price” wine deal will be posted every 15 minutes. You gotta love that! Need a reminder? Follow me on Twitter, @lgdealstoday, where I will tweet reminders of Cheapskate Wednesday. Wine-Searcher.com: Wine-Searcher’s database is quite extensive, with over 32,000 wine stores and more than 5 million wines. 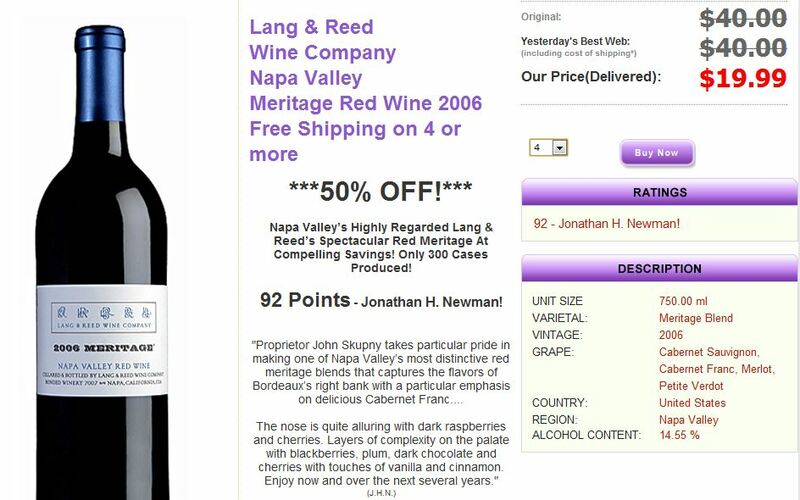 WineZap.com: WineZap focuses on U.S. wine retailers. Their easy search options help you find the right wine for the right price at the right location. vinopedia.com: Vinopedia searches wines all over the world. Like to search wine details online? Then check out vinopedia’s browser plug-in. Want access to “Wine Deals on the Go?” Never want to miss that great wine deal again? Then download the convenient WTSO for iPhone app or the WTSO Android app and keep on top of the latest wine deals. Customer Service: If there is a chink in WTSO’s armor, it would be with Customer Service. They run a low-overhead operation in order to provide you with these deeply discounted wine deals. They do not routinely answer phones for either customer orders or issues. All orders are placed via their website, and if you have an issue, WTSO strongly suggests you contact them by e-mail. Fortunately, they seem to run a pretty smooth operation! Are you or someone you know an oenophile? Are you looking for a great wine deal? Have you used WTSO before? Let us know your thoughts on WTSO in the Comments Section below. It’s not always easy to keep your New Years Resolutions; perhaps these following five top consumer and shopping trends for 2012 will help! Recommercing: The fine art of reselling your no-longer-wanted items has changed! Yard sales and consignment shops have been the quintessential recommerce market for years. But how many of us want to put our resell items in the front yard? Or “tag-bag-drop-wait” for a consignment shop resell? Enter 2012 and the explosion of more high-tech methods to resell unwanted goodies. Almost anything can be bought and sold in today’s internet recommerce market: books, clothes, electronics, toys and more. Think eBay, CraigsList, Amazon Marketplace, and Gazelle; all examples of internet resellers of our gently used but no longer wanted items. 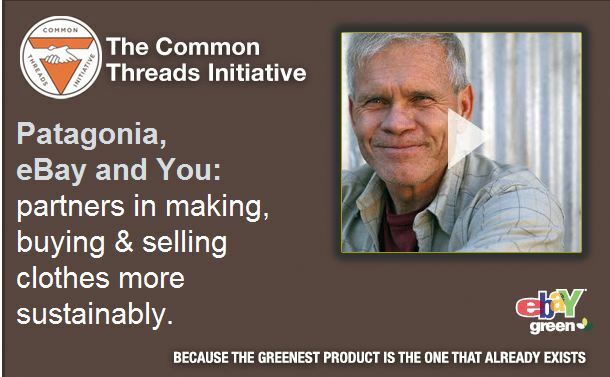 Check out the partnership between major powerhouse reseller eBay and upscale clothing line, Patagonia: eBay+Patagonia Common Threads Initiative. Consider selling your electronics to Gazelle and let them sell for you. As we move through 2012, recommercing one person’s no-longer wanted item can become another person’s treasure at a great price. Consumer Electronics: Looking to “upsize” your TV? 2012 may be the year! Electronics prices historically drop in January and February and 2012 is no different. An added bonus for the consumer this year is that prices are expected to remain lower for items such as TVs, cameras, GPSs and other “not-so-coveted” electronics. Brick and mortar stores are in heavy competition with online retailers for your electronics purchases, helping keep those prices down. But, lower electronics prices do not extend into all areas of electronics; sales are expected to remain strong in the tablet, smartphone and e-reader markets. Be sure to do your research before you buy to ensure you are getting a great price! Wine: Got wine? Wine consumption continues to be a very strong market, but the slower economy has many of us spending less per bottle. In 2011 we trimmed our purchases of those $30 or higher-priced wines. But don’t despair: in 2012 the glass is not half empty; it’s half full! 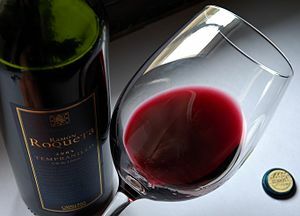 Wineries have taken note of this change in consumption and plan to offer more lower priced wines in 2012. Not willing to give up that high-end bottle of wine? Consider wine flash-sale websites dedicated to selling those high priced bottles at a more “drinkable” price. Take a look at WinesTilSoldOut, whose motto is “Fine Wine. Great Prices. One at a Time.” Sales start at midnight and end when the wine is sold out. With wines at 30%-70% off, these bottles are gone in a flash! However, buyer beware: be sure to read the reviews of a low-price wine to ensure you are getting a quality wine at a great price, and not last year’s dredges. Travel to Europe: Europe is still expensive, but if you’ve been dreaming of a family trip to Barcelona, 2012 might be the year to do it. The European debt crisis and the relative strength of the US dollar to the Euro mean European hotels and attractions could be substantially lower than they have in the past. If European travel (or any travel for that matter) is in your 2012 plans, consider subscribing to several free travel flash-sale websites, such as Jetsetter.com, or sign up for Groupon Getaways and receive notifications of travel deals around the world. Budget Travel’s website also keeps you in touch with the latest travel deals. So what’s your favorite consumer trend for 2012? Where do you see yourself spending your shopping dollars this year? Let us know in the Comments section below.